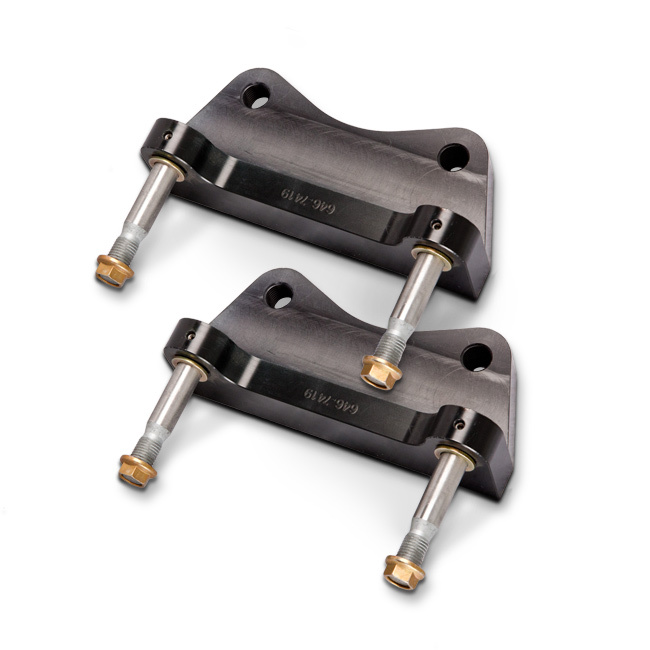 The stiff 2-piece, fully-forged calipers have designated piston sizes specific to each application and provide a firmer, more responsive brake pedal that provides better brake pedal modulation. Depending on the application, 1-Piece Rotor Big Brake Kits® are available in two-, four- and six-piston configurations and 5 different caliper colors that use a special high temperature paint to withstand extreme conditions. 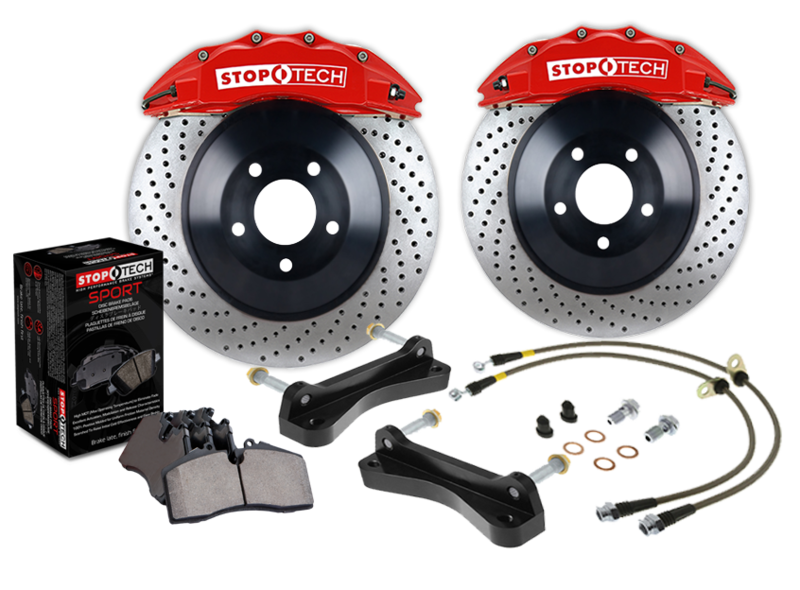 All StopTech® 1-Piece Rotor Big Brake Kits® include stiff calipers that utilize silicone dust boots to extend service intervals. 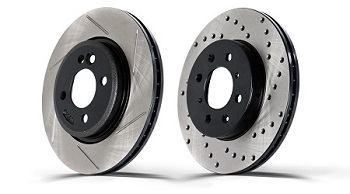 The larger 1-piece StopTech® Sport rotors, available in slotted, drilled and drilled+slotted finishes, provide greater heat capacity and reduced brake fade. 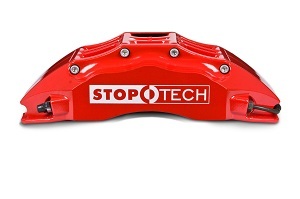 Also assisting in fade resistance and higher performance are the StopTech® Sport Pads which have a high maximum operating temperature, and high bite for responsive brakes that can be driven hard. 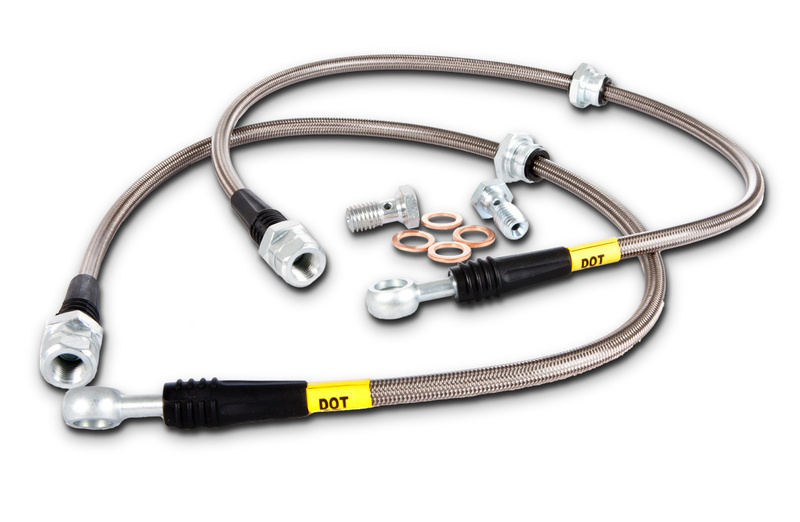 Carefully engineered, 2-piece design reduces flex. The carbon steel caliper bolts running through both halves multipy strength by 3-fold.